Feels a little weird to post Chapter 1 after reading till Chapter 8. Gotta put my shoes in those who are new to StoPani! uh i mean Strawberry Panic! ... Ok act stupid mode, 'ON'. 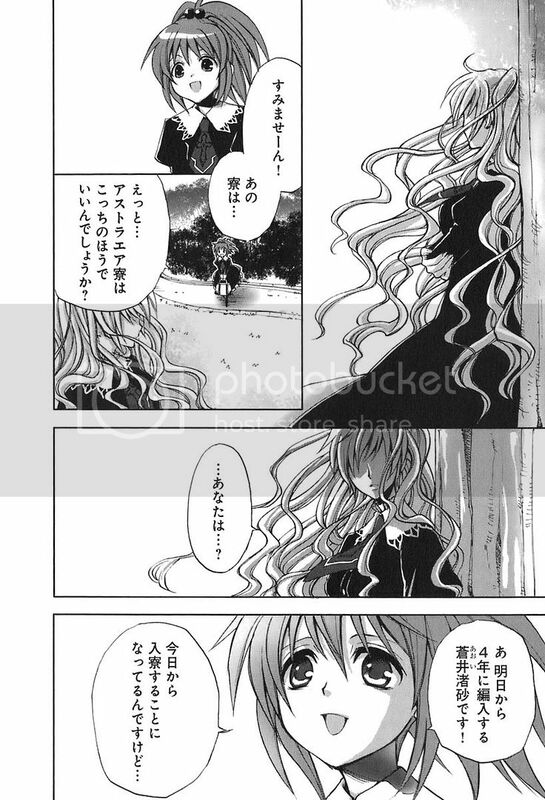 If you want to download the translated chapters of Strawberry Panic! 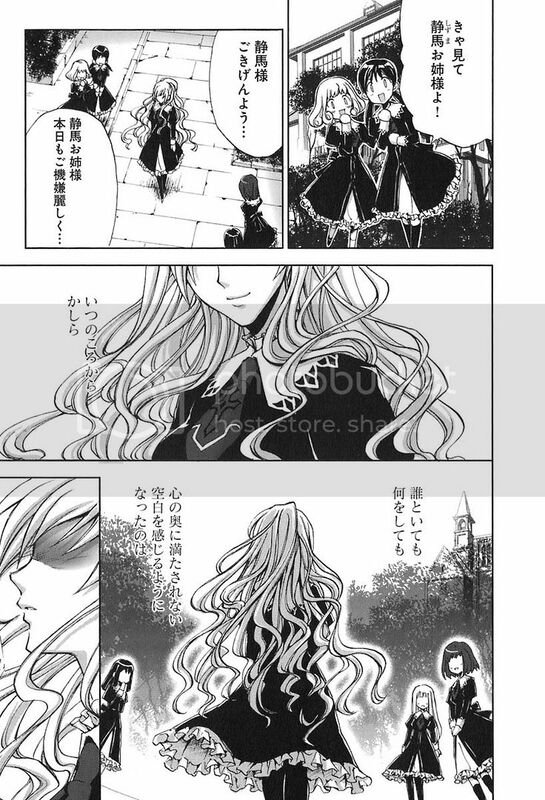 Manga, go to Dynasty Scans . Please do not hotlink on forums, just paste my blog url and direct them to the Strawberry Panic! Page section, thanks. 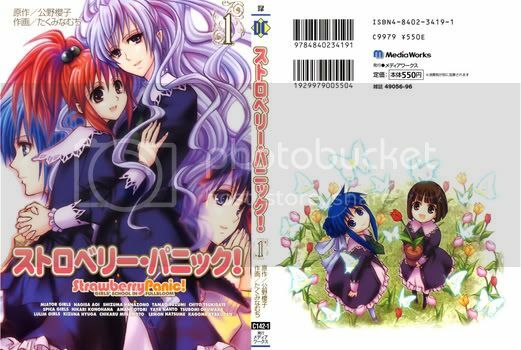 Cover & Back of Strawberry Panic! Manga, Volume 1. Great cover, very appealing XD. 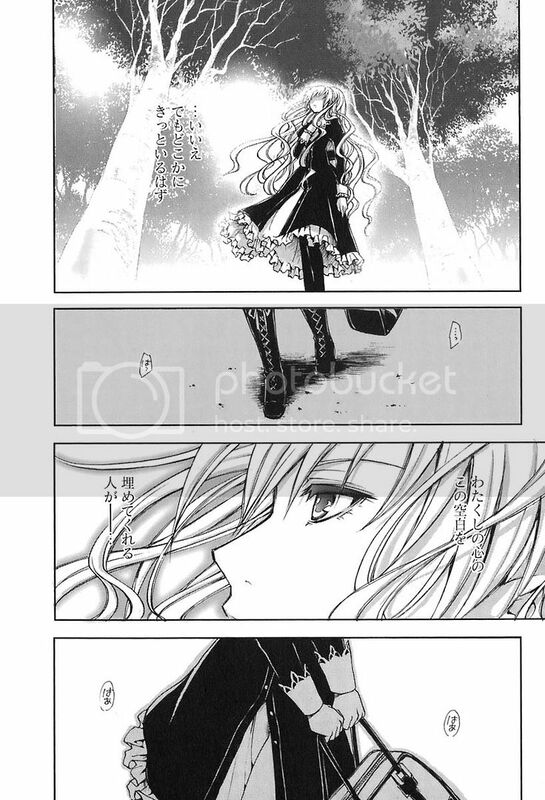 In Chapter 1 of Strawberry Panic!, 'A Maiden's Garden', a teaser of a long silvered-haired girl parting ways with a long black-haired girl. 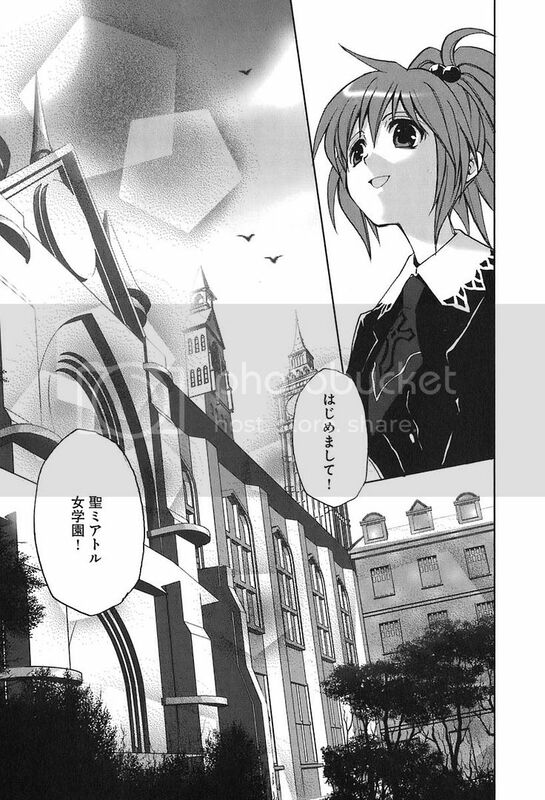 One of the protagonist, Aoi Nagisa had been transferred to the pretigious St Miator Girls School and would be living in the dorm there too. Looking at the time, she realized that she's late and rushed for school. [Nagisa's mother was really worried for her lol, cos Nagisa's dense and all XD] Anyways, Nagisa is really looking forward to began a new day in her new school. Fufufufu, little did she know she's inviting herself in the lion's den. The silver-haired girl from the teaser appeared again. Capturing one of the fallen leaves between her fingers, she thought to herself that maybe she could had bounded her wandering heart. 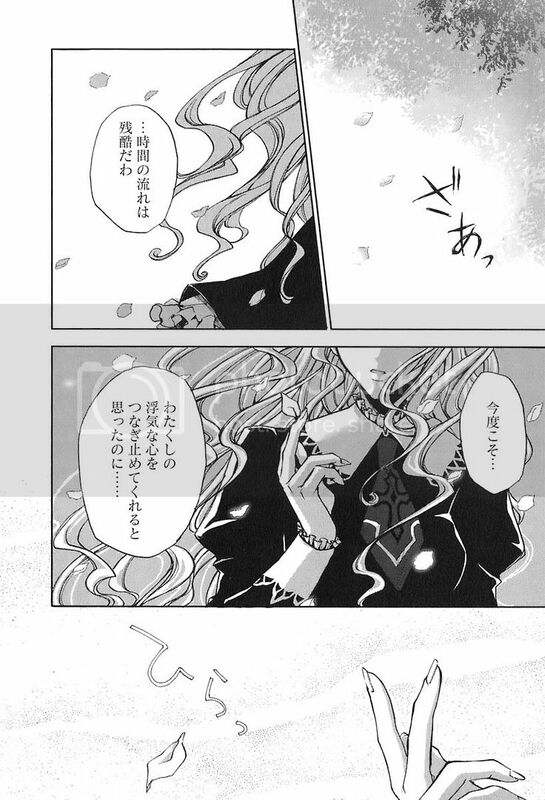 Then she lets go of the leaf, apparently that black-haired girl from the teaser has not possess her heart. Later, we learnt that her name's Hanazono Shizuma, it appears that Shizuma's really popular among the girls, as the girls started greeting and praising Shizuma as she walked pass. Shizuma merely smiled in reply. She felt empty, her heart felt empty even though she's surrounded by people. 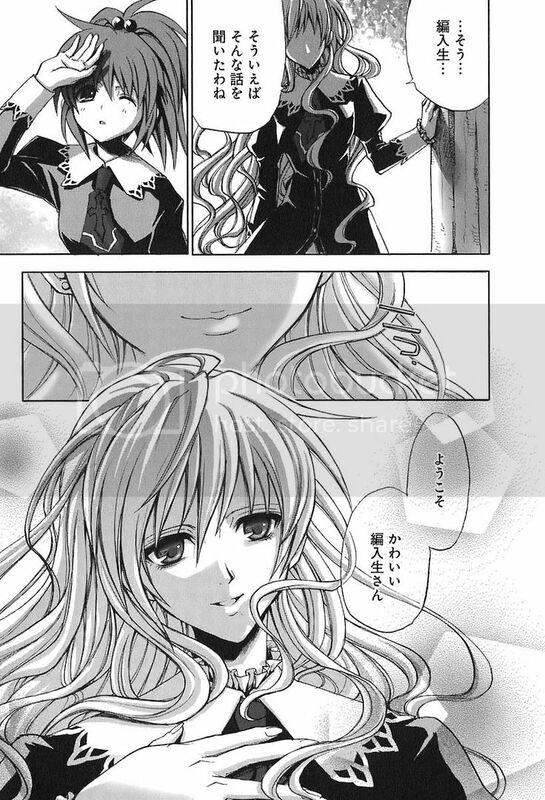 However, Shizuma believed that there must be someone out there, who will fill her empty heart. 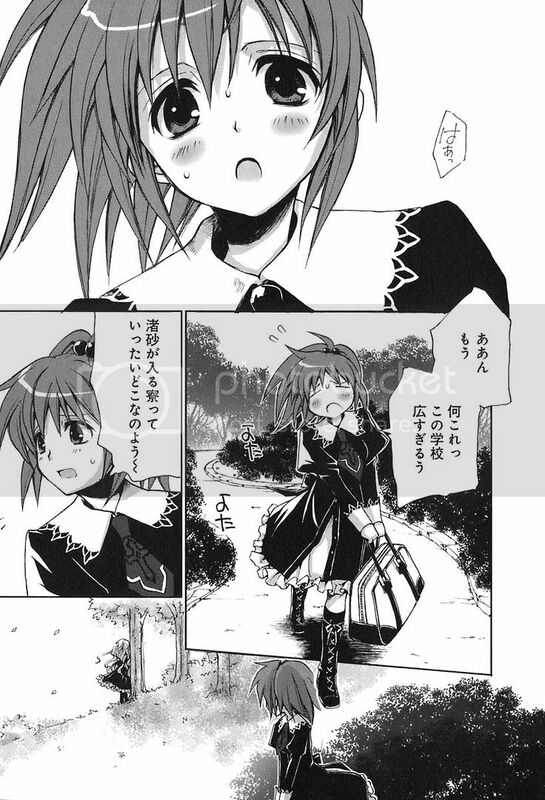 Back to Nagisa, who was lost and wondering where the heck's her dorm lol. Then she saw a person leaning against a tree trunk. She asked the person for directions to the dorm. The person is none other than the respected Hanazono Shizuma and she extended her hand out offering to embrace guide Nagisa. A really milder opening compared to the anime, lol, we know Nagisa's dense and clumsy but we didn't actually got to see her acting all clumsy and klutzy in the manga, unlike in the anime, she actually ran off course and fell lol. 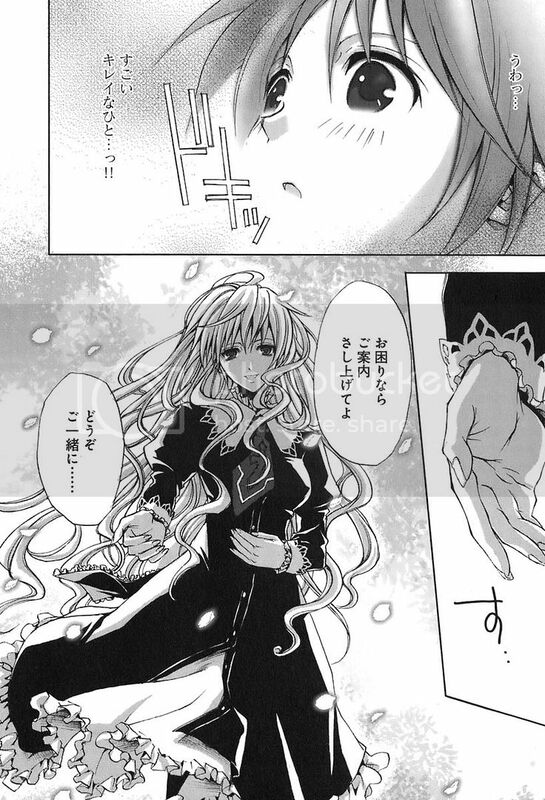 The meeting between Nagisa and Shizuma seemed more fantasy-like too, like it's love at first sight, although Nagisa's reaction in both the anime and manga is the same. Nagisa's reaction in the anime's more violent but in the manga's it's not explosive enough but still, something to look forward to. Anyways, GREAT ART! Fell in love with the art style, very pleasing to the eyes so it's half the battle won for me lol. I saw some chapters at Yamibo forum after my exams, and I went, OMIGOD, I GOT TO HAVE THIS! 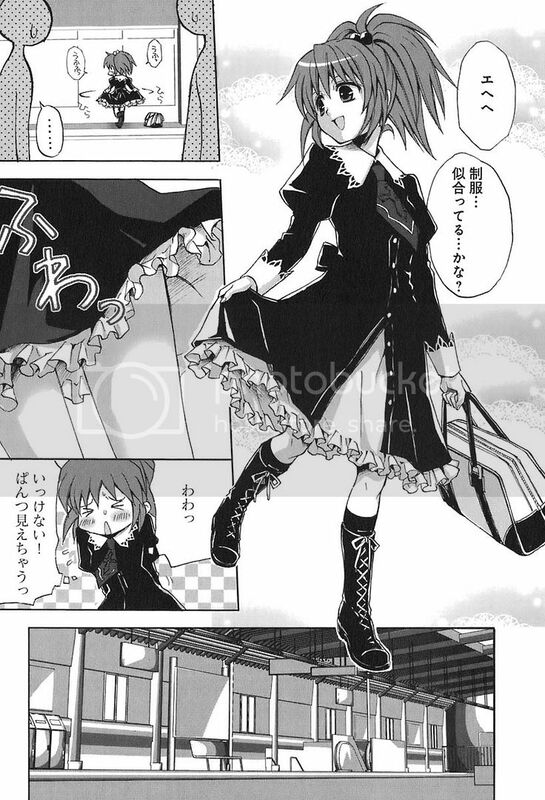 And before i knew it, i was downloading C1-C4, downloading the novel scans, the novel art scans and lurking at the StoPani website lol. I was even more thrilled that they're having an anime for StoPani! 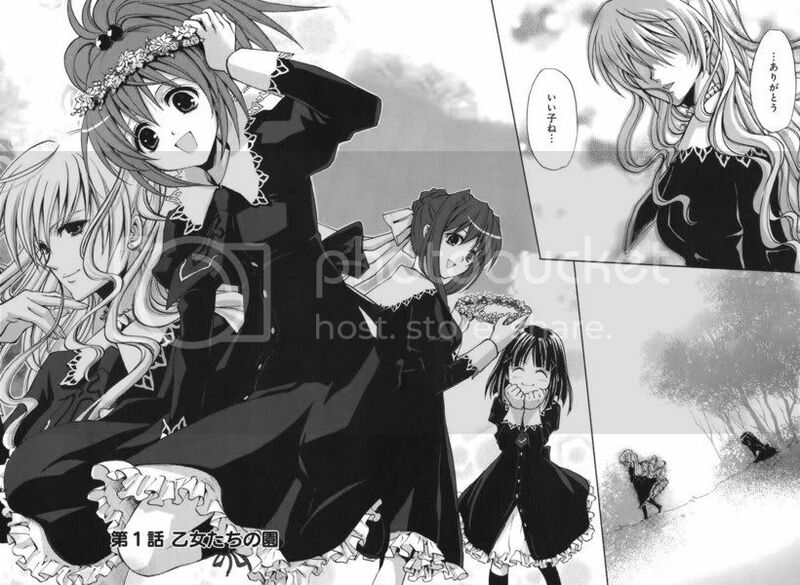 But I still prefer the manga's art style ... XD. Well then, probably Chapter 2 review tomorrow. Or School Rumble Ni Gakki Ep6? Dunno. to Cellist, it's 草莓狂熱. And there's no movie, only novel, manga and anime. Whee Happy Mothers' Day To All Mothers!